– Curve summarizing past session. 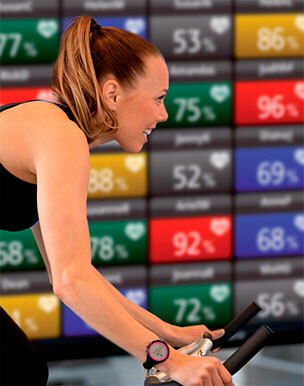 SUUNTO Fitness Solution is a new way to get the most out of your workouts in a fitness club. The system automatically records your actions. You can view in real time the intensity of your exercises and provides detailed and customized reports for users and coaches. With the SUUNTO belt, you can monitor your heart rate during your workout. You can control the intensity of your workout by visualizing your performance on the SUUNTO Fitness Solution display screen. You will not have to interrupt your session to use a Fitness watch. The display is designed to be both informative and motivating .Once at home, you will receive a personalized report that will help you improve your health. 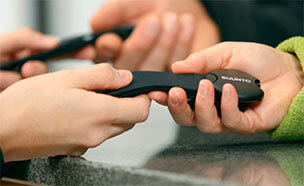 Simply register once at the reception and obtain a transmitter belt SUUNTO. When registering, you must provide information about your current physical condition. These will be used to calculate the effect of your workout. STEP 2: PUT ON THE BELT! STEP 3: START TRAINING AND GET ADVICE! Join one of the courses using SUUNTO Fitness Solution or exercise freely in the dedicated areas covered by SUUNTO Fitness Solution. 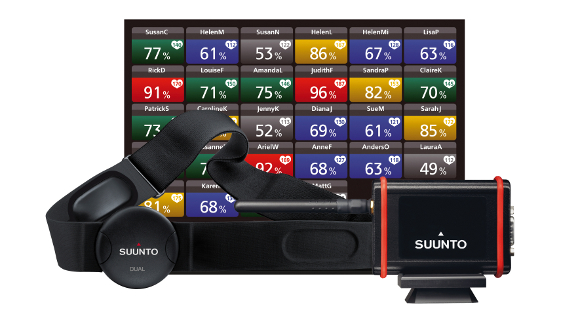 Control the intensity of your training by viewing your effort on the SUUNTO Fitness Solution display screen. At the end, you will receive your personalized report and will be able to review your results! For a more effective workout. Whatever your goal, the best way to reach them is to train at the right intensity, allowing you to improve your results, to properly recover and better appreciate your workouts.